We were mostly children of Nestle Quick growing up but my mom would make homemade hot chocolate occasionally. It was so good that my sister and I tried to make it ourselves once. But only once. We grabbed the cocoa just like we’d seen mom do, then we grabbed two glasses, and the milk. Two big spoonfuls of cocoa and a tall glass of milk later… well, you can see what went wrong here. When it gets chilly here, we go through a lot of hot chocolate. It’s what’s for dessert on most cold nights. 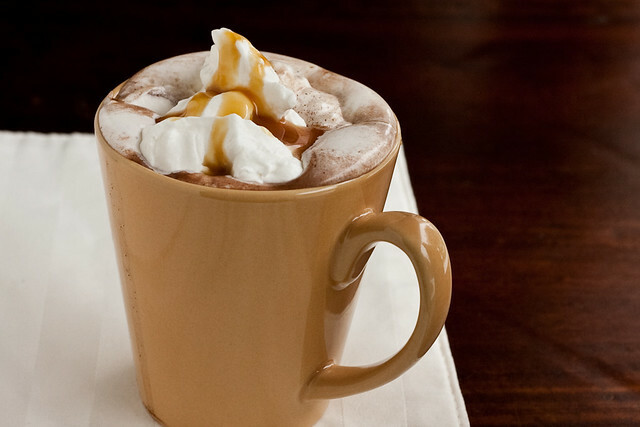 Rich and decadent homemade hot cocoa/hot chocolate mix made with real chocolate. Split and scrape vanilla beans and place in a large bowl or jar with the sugar. Work seeds into the sugar with your fingers. Bury the pods under the sugar. Cover tightly and let stand overnight (or up to months--vanilla sugar keeps forever) at room temperature. Remove pod from sugar. Add ground chocolate and cocoa powder to sugar and whisk to blend, making sure to combine well. To serve, heat 2 Tbsp of mix with 8 oz of milk over medium heat. Looove the hot chocolate and mix recipes!! I love that this recipe doesn’t call for dutch chocolate… and looks like this would be a richer chocolately version – just the way I love it! That first picture is so pretty! This sounds like a perfect mix; the combination of chocolates and cocoa sound really well-balanced and take the best of drinking chocolate and hot cocoa. Love your cake stands, may I ask who they are by? I have a slight obsession with cake plates … Happy Holidays! Hi Tara, the cake plates are from Martha Stewart’s line, available in-store on online at Macy’s. There are three each in the round and square series. Drat, drat, drat. Martha has not yet released these in Canada. Oh well, another item to add to my ‘list of things to request from US relatives.” Thanks so much for the information. oh wow this sounds perfect! i wish i had seen this recipe sooner! maybe i’ll use it for next year’s packages! This is perfect, I love hot chocolate and have wanted to make my own mix. Thanks. This was delicious hot chocolate! Thanks a ton! I am just about to make hot cocoa mix with homemade marshmallows for presents and now i’m going to switch to your recipe. One question: most recipes call for powdered sugar. Does granulated sugar stay grainy? Wendy – no worries about grainy sugar, it dissolves while you’re whisking the mix into the hot milk. Can you tell me how to add powdered milk to it so someone who might only have access to hot water might use it? Sounds delish….I know it won’t be as good, but my SIL will appreciate it in the Middle East! Sharon – I would make the hot chocolate mix first and then stir together 1 cup of powdered milk with 6 Tbsp of the hot chocolate mix in a separate bowl until very well mixed. That will make 3 servings of hot chocolate. 1/3 cup of powdered milk yields 8oz of reconstituted milk when a scant cup of water is added, according to the directions on my box of powdered milk. If you package it in single servings, she only needs to add 1 cup of very hot water. If you package it in multiple servings, she’ll need to stir in a scant 1/2 cup of mix (or 7.3 Tbsp, to be exact) into 1 cup of very hot water. I hope that makes sense – and helps! What brand cocoa would you suggest for Dutch Pressed? I always encounter this dilemma while at the grocery store because they only give 2 options, and neither look very high-quality. Thank you! Gwyn – droste, Hershey Special Dark, or my store carries a house “European style cocoa” that works great, too. My vanilla sugr is setting up and my chocolate has been processed. 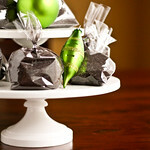 I am SO excited to add these to my gift baskets this year. I’ve been on a tear this weekend, I made your pumpkin syrup and the red, green and white biscotti. All SO awesome, thanks a ton! Hi! I’m chiara and i’m from italy! 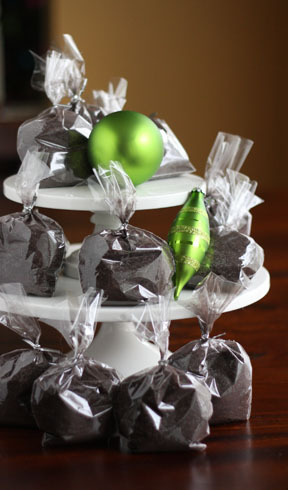 i wanted to make these for my christmas baskets but dutch process cocoa doesn’t exist here! Is it possible to use normal unsweetened cocoa or do i have to make it using baking soda? No baking soda needed – dutch process just has that darker, richer chocolatey taste. It will still make a great cup of cocoa! I made this (half a batch) to give to some of my co-workers along with some cookies for Christmas. I taste tested it before giving it out. WOW, it was divine. Needless to say, the rest never made it out, I kept it for my husband and I. Maybe next year 🙂 Thanks for a fantastic recipe! 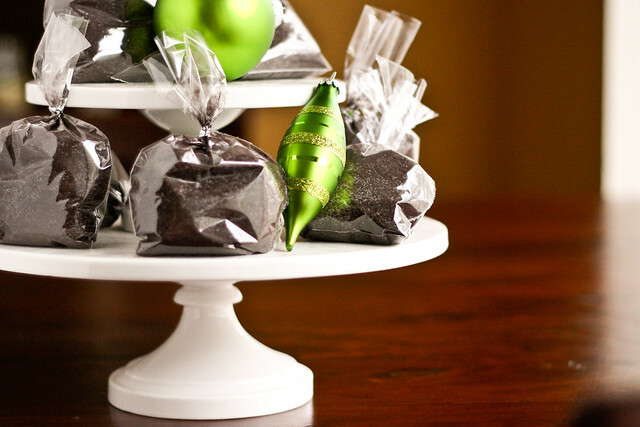 Do you use anything special for the “dark chocolate” portion? Does it have to be any certain % of cocoa? If I can get my hands on reasonably priced *really* dark chocolate (like 72%), I’ll use that. Otherwise, all semi-sweet will still make a fabulous cup!